Lithium-ion battery is the preferred technology in many major industries: From consumer electronics to electric cars, and more. 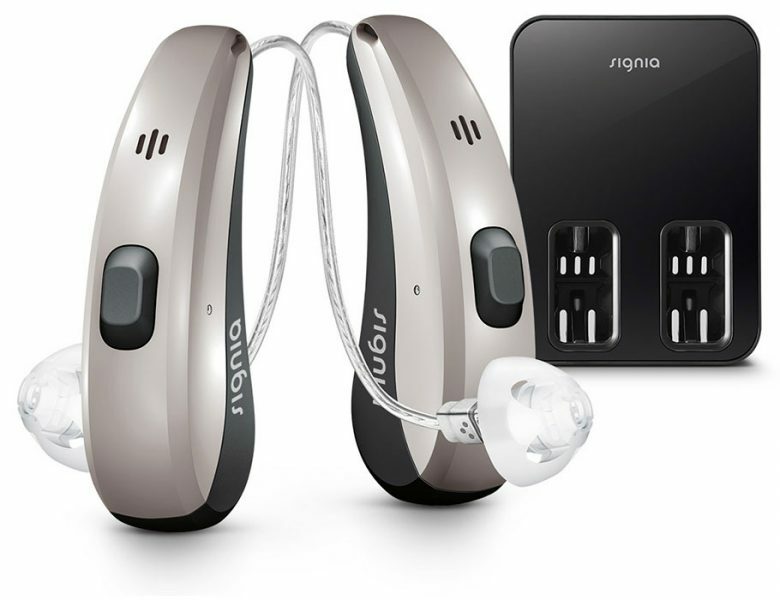 Higher convenience for the hearing aid wearer. The runtime of all lithium-ion rechargeable batteries reduces over time. Under normal operating conditions, the battery will retain at least 80% of its initial capacity after 2 years of use. Please note that battery performance will vary depending on individual usage patterns and environmental conditions. 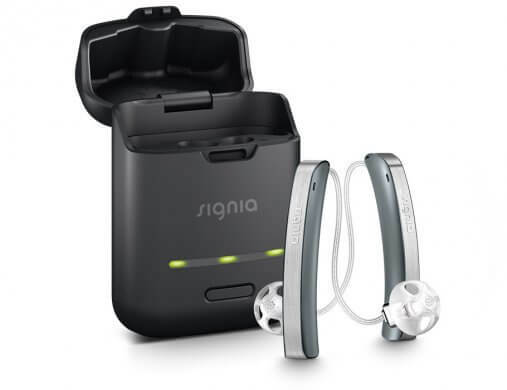 Will my lithium-ion battery last longer if I don’t charge my hearing aids every night and wait for a complete discharge before charging? Deep-discharge cycles are not required for lithium-ion batteries. The best practice is to charge your hearing aids every night and unplug your charger while not charging. Does the battery life become shorter if I use the fast charging option very frequently? No. Thanks to our specially developed charging method, fast charging does not have any negative effect on the battery life of your hearing aids. Is it safe to travel on an airplane with a lithium-ion rechargeable hearing aid? Yes, it is safe to wear these lithium-ion rechargeable hearing aids on a plane and to bring the charger on board. It is also safe to carry the hearing aids and/or charger in your luggage. 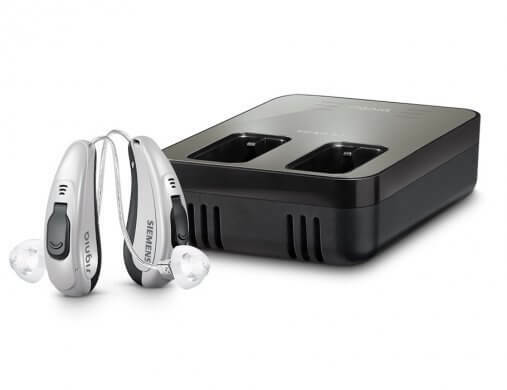 Can I ship my lithium-ion rechargeable hearing aids? For this, we recommend that you check the requirements of your shipping provider. It’s not just a hearing aid. It's embracing life with stylish high-tech. The original Li-ion rechargeable hearing aids for the most natural sounding own voice and full connectivity.